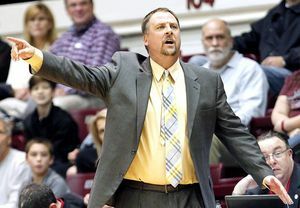 The University of Wisconsin-Green Bay has extended the contract of men’s basketball coach Linc Darner two years through the 2021-22 season. 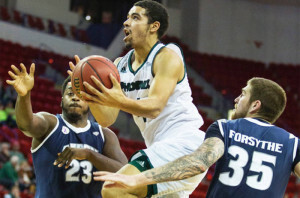 Darner just completed his first season in Green Bay, leading the Phoenix to a Horizon League Tournament Championship and a trip to the NCAA Tournament. Green Bay Phoenix coach Linc Darner (pictured) said if his team could weather the first eight minutes of their NCAA Tournament game against Texas A & M, they’d be in good shape. The Phoenix actually held their own for the first 10 to 12 minutes, but the Aggies took over from there and were never challenged, pulling out a 92-65 victory over the Phoenix in Oklahoma City. 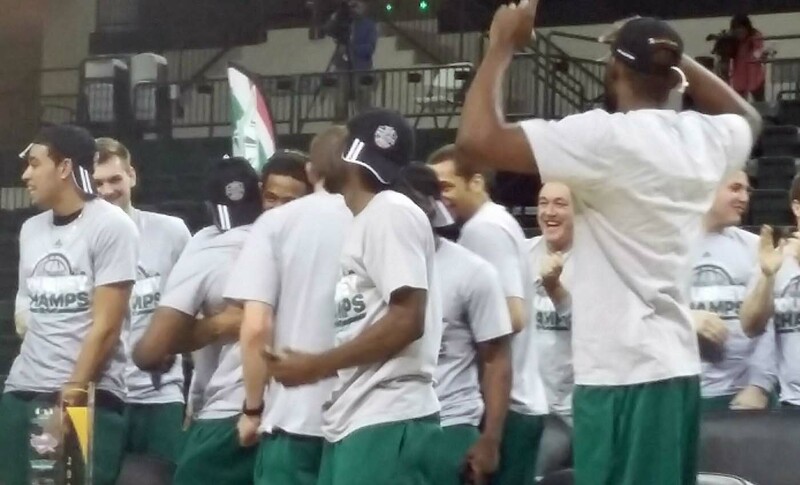 Phoenix players celebrate their NCAA draw against Texas A & M.
The Green Bay Phoenix are headed to the NCAA Tournament for the first time in 20 years. The Phoenix (23-12, 11-7 Horizon League) captured the Horizon League tournament title by knocking off regular season champion Valparaiso in the semifinals, followed by a victory over Wright State in the title game. Green Bay has won eight of their last nine games and was handed the 14-seed in the West Region and will open up against third-seed Texas A & M in Oklahoma City on Friday night (6:20 on TBS). Jaelan Sanford hit a buzzer beating three-pointer to lead the Toledo Rockets to a 71-69 win over the Green Bay Phoenix on Sunday at the Resch Center. Green Bay led 68-62 with 3:49 left to play, but Toledo’s Jonathan Williams made another three-pointer and Nathan Boothe converted a three-point play with 1:29 left. Boothe had 27 points on 11-of-14 shooting to lead the Rockets (6-2). Toledo coach Tod Kowalczyk won in his return to Green Bay, coaching against a Phoenix team that he once coached for eight seasons. Jordan Fouse had 15 points, 13 rebounds and five steals for Green Bay, which saw its four-game win streak come to an end. 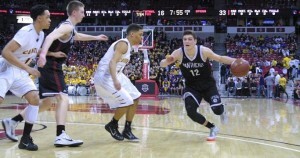 First-year Green Bay Phoenix men’s basketball coach Linc Darner received a verbal commitment from All-State guard Trev Anderson from Stevens Point on Wednesday evening. Anderson picked Green Bay after also receiving offers from South Dakota, South Dakota State, Lafayette, Drake, Elon, Lehigh and Albany. Darner made Anderson his top recruiting priority since taking the job in Green Bay, replacing Brian Wardle in the spring. 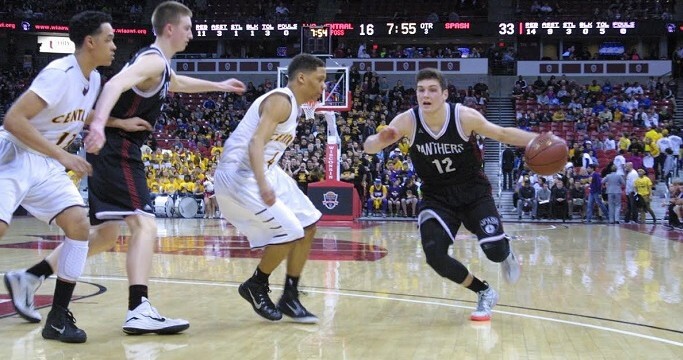 Anderson has helped the SPASH Panthers win 72 of 78 games over the last three years, including the 2015 WIAA Division 1 state title.